This DVD and CD-ROM gives young people ages 12-18 an understanding of the different drugs of abuse, the neurobiology, symptoms and consequences of use, tools to resist, knowledge of available help and an understanding of treatment and the concept of ongoing recovery. Also included is a CD-ROM featuring reproducible topic-specific materials. 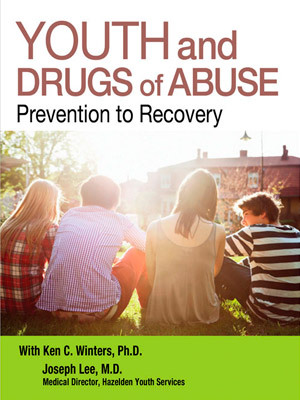 Two different guides are included with the “Youth and Drugs of Abuse: Prevention to Recovery” video; one is for running a program for teens and one is for running a program for parents. They both contain discussion questions, reproducible fact sheets and tips for effective use of the program. Chapter 4 of the video, “Getting Help,” is most appropriate for use with a treatment audience.